Eric Cruz is a 32-year-old aggressive inline skater from Austin, Texas who in recent years has developed a deep passion for distance skating. He is the 2017 Endomondo Big Wheel Challenge[a] winner, having completed 2,548.5 miles (4101.41) last year. Eric is the first person I ever knew to skate long distances and I used to think it was crazy when he would post that he did a 20 or 30 mile skate. Back in 2016 he was definitely a motivating factor in my new found love of distance skating. Eric Cruz is a skating machine and I’ve seen big changes in him mentally and physically throughout his journey into being fit. Through all this he has been motivating others to put some big wheels on their feet and skate the miles. Congratulations on winning the 2018 Big Wheel Challenge! It is a great accomplishment to skate so many miles, especially living in Austin were it is a perpetually hot endless summer! Thanks for that and for doing this interview! It really does stay hot in Austin but it does have it’s advantages, the biggest being able to skate while others are snowed in around the country. My very first attempts at any type of distance skating happened in early 2013 on the Farmington River Trail when I was living in Bristol, CT. I maybe got more than 3 miles one time and it wasn’t pretty. It wasn’t until I moved back to Austin that I started trying for distance again in March 2014 according to my Endomondo. I was just completely out of shape. I had been hired at a really good job in network TV and it was completely sedentary, I’d come in to work and spend the majority of my day sitting in a dark control room. The free time I had was spent trying to aggressive skate but with my added weight and inactive lifestyle I wasn’t performing near at the levels I wanted. Ultimately I began distance skating to lose weight in order to be a better aggressive skater. Eric Cruz loves to skate. Honestly for the longest time I felt I was in no man’s land, I didn’t have much luck finding out about other people doing this stuff so I just motivated myself. Later on I met my blade brother Mark Sundell and he super amped me up because he was way faster than me at the time and was posting really solid times for his distance rides. We bounce a lot of training and skating information off each other all the time. While I admire and respect the things that so many skaters have done, if I need outside motivation my net goes outside of just skating to where I get amped by any humans that are achieving awesome accomplishments. That being said a conversation about distance skating can’t happen without mentioning Eddy Matzger, if you don’t know the things he’s done in distance you’ve got some catching up to do. How long have you been competing in the Big Wheel Challenge? How many miles did you get in your first year? And how has your approach, goals and skating changed? I’ve been competing in the challenge since 2014 and my first year I got a mind-boggling 216.07 miles! That first year was honestly not great for distance, I was skating miles here and there but I was still aggressive skating more than anything. My approach to skating has very much changed in that this type of skating is a huge part of my life now and a dedication of lots of my free time and even if it’s not free time finding a way to carve out a skate, a cross training session, anything to keep improving. I can be pretty competitive but competition against others has always paled against the desire to just be better than myself. I can always remember being that way but it wasn’t until I started becoming more active and able to push my body that I really began having that desire to find out what I’m capable of then push past it and repeat. How had your approach to distance skating matured throughout this last year from when you began? This last year I dialed back the need to do only long rides and began focusing on trying to do shorter distances with faster times, more of a focus on speed. Going into 2018 I want distance but faster and further. Endomondo Stats from Eric Cruz’s Century (100 mile) Skate. The most challenging moments of the year were all the moments in the 7:57:04 it took me to skate my first 100 mile Century ride. I did it alone and the challenge was just as mental as it was physical. Thankfully I have not suffered any injuries directly related to distance skating. Were there any months you skated less then others? What months did you skate the most? My skating was all over the place last year from non skating related life stuff, but my highest months were April (332 miles) and August (336 miles). How do you handle skating in the heat during the extreme Texas weather? Is there any heat limit you won’t skate in? What do you wear when skating in the heat? The way I handle the heat is to not get caught skating in it! I love waking up early, way before the sunrise with a headlamp or right at sunrise and just taking off. Skating at that time is great because the road is mine and it allows me to get plenty of skating in before it gets hot. My biggest concern is really sun exposure; I’ve got caught out in some sun and just fried. I wear the most breathable, stay dry type shirts and shorts I can find. I’ve been told a speed suit would handle the sweat the best, guess at this point I might as well try. As far as heat limit, not really, I’m just not going to go as far or as long, I had to skate commute everywhere this past year so I got used to it. I can’t go anywhere without my vented helmet either. Skating the North Walnut Creek Trail in Austin. How much water do you consume during the summer? Have you ever run out of water anywhere remote? How do you handle cold weather skating? What gear do you wear when the temperature dips? What is the coldest you will skate in? Cold weather can be extremely difficult for me, not only do I not like it, but when I was 15 and 16, I had surgeries on my knees one year after the other from football. They took significant amounts of cartilage from both of my knees, there was other damage but that all got repaired. Cartilage got taken away so when it’s cold my knees feel it like no other. I use knee sleeves to keep my knees nice and toasty, as long as things stay warm it’s bearable, compression pants underneath some shorts. My lower body is what needs to stay warm for a successful cold ride. The coldest I’ve skated in so far was 26 degrees which is pretty low for Austin. Runners gloves help a ton too. What moments were your proudest achievements in 2017? Definitely doing the century ride solo, because it was all me. I didn’t have anyone to cheer me on, no one else riding to amp me up, no support team no pit stops, no music, just the sound of my skates rolling and me pushing myself. I think for me a super proud moment was getting connected with Powerslide and becoming a skate tester, input giver, flowish rider, representer or something to that effect. I’m not really sure where I’m at in all of that but I am definitely thankful for the opportunity and their support in keeping me rolling as much as I can. Did you have any goals you didn’t achieve? Unfortunately I was not able to skate in Athens to Atlanta where I was hoping to smash the time I had logged for my first one in 2015. Sub 6 hours at Athens to Atlanta is my goal this year. It is completely achievable I just need to attack my training. I would love to say I have a full on schedule and when it works out I do follow a routine. But as a freelancer my schedule is constantly in flux. If I’m lucky things work out to where I alternate gym and skating days throughout the week. Gym days are just that or some sort of cross training, while skate days are long paced distance 40 miles or more, speed oriented shorter distances like a marathon, and very rarely but soon to be more consistent a pure speed/interval day. That’s if things work out in my favor, sometimes my work schedules will collide and clash so I have to go off script and mix things up. I always try to do something every day regardless of what is going on and so far this year I’m making it work. As far as what I do for cross training in the gym I have a full body circuit routine I’ve developed for myself that I feel hits on a lot of the major areas for a skater, as I learn and grow my knowledge base things will change. I bike or skate commute daily to whatever work I’m at which varies from about 10 miles round trip to 24 miles round trip. Eric training in his garage gym. My lifestyle is training. It really does seem that way, I have changed so much besides losing weight and being more active. I am more aware of what I eat and try to fuel my body with the goods it craves, I have a sweet tooth but nothing a few extra miles isn’t going to tame. In my garage I have a gym, a full on garage gym because I wanted to be able to train whenever and keep myself accountable because it’s hard to find an excuse to not walk into the garage and workout. I also began trail running and commuter cycling. It’s all just made me appreciate my body, being able to move and perform at a high level. I value sleep more than ever, there’s just a lot more I could say, I rarely drink because I don’t want to affect a morning ride. There are always exceptions. A big lifestyle change is just constantly gathering information on training, diet, physiology, bio-mechanics, and anything else I think is going to make me better physically because all that will make me a better skater. I don’t really practice or attempt to stick to any specific diet. I do employ intermittent fasting and longer duration fasting as tools to help my overall progress. But as everything else I’m very flexible and try to go with the flow without deviating too much. Intermittent fasting definitely forces you to be more aware of your food choices, I wish I could say I was at 80/20 as in 80% healthful foods with 20% less healthful foods but in all honesty I’m probably at 70/30 if not 60/40 sometimes. If things get crazy with schedule and I don’t prep things can get nasty for diet but it is a huge factor that I am consciously aiming to improve. Carbs fast and slow, sugars simple and complex. Carbs and more carbs. The majority of what I’ve learned about endurance diet is really stuff that is based in cycling and ultra running. I try and eat 40-60 grams of carbs per hour, nothing too heavy on sugar, no corn syrup. Gels are great, caffeinated and non, because they have carbs and electrolytes. I use a hydration pack of 2 liters for any rides longer than 30 miles. If I am staying appropriately hydrated I can get by with my hydration belt with 2 10oz bottles for rides shorter than 30. I always carry water regardless of the ride length or time of day, better to have and not need than need and not have. On long summer rides I will drink a ton of water, I also supplement with electrolyte capsules. Unfortunately for my aggressive skating, distance has pretty much taken over my time and I don’t get to aggressive skate nearly as much. There’s also the issue of getting hurt while aggressive skating and not being able to train. But this year I’m making an effort to aggressive skate more and have taken precautions against injury. I already wear a helmet but I recently ordered some crash pads, something I thought I would never do but I’ve been skating almost 20 years my hips and body have nothing to prove to anyone at this point and I want to stay able to skate. My body is just so much easier to work with, I’m not lugging around a lot of extra me. Physically I’m just performing better all around because of lifestyle choices so that translates over into aggressive skating when I get the opportunity to skate. There are still issues of muscle memory and trying to knock the rust off when I go but overall I would say I am way more confident and able now even if I aggressive skate way less than before. I will say that I can skate 100 miles but a couple of fast laps around the bowl will still have me breathing hard. It’s a big difference between the long haul and short quick bursts of energy in aggressive. Trail running at Walnut Creek Metro Park in Austin. I know you started trail running and cycling? What made you start doing those things? Those were just more effects of the fitness and active lifestyle that I had taken on starting with distance skating. The bike was really more about practicality versus skate commuting, bike is just easier and I can carry more stuff. I do want a road bike but there’s only so much time and money, but biking is great cross training and since I have to go to work anyways might as well get some sort of training in on the way. As far as trail running I love it and want to get back to it. Most of the trails I skate you can see the off road trails running along side throughout the park and I was always stuck on the paved parts wanting to be in the trees, so I took to trail running. It’s a whole other beast but I like the primitive feel of running through the trees, climbing and dodging obstacles. It’s fun and excellent cross training. Have you had any injuries from running or cycling that affected your skating? A weird knee thing developed from running to where I couldn’t skate for 3-4 weeks. I attribute it to bad form and the fact that while my cardiovascular system and legs could handle me running 5-6 miles very quickly, my tendons, ligaments, and joints had not had the same type of preparation because inline skating is so much easier on the body than running. I want to return to running but I’ll have to take it easy and gauge things slowly, start low miles. Youou had to commute on skates for work due to car issues. What was this like? Did you enjoy the daily skate commute? Skate commuting puts you in an excellent mood for the day, you just feel better after a refreshing ride in to work. Then on the way home you get to burn off the day’s stress. It’s a great way to get some miles and a workout in without adding time to your day since you’re already going to work. However, with skating it can be a little cumbersome, everything in your pack is accounted for and considered for weight, typically I have to carry shoes. While I still skate commute from time to time, for practicality sake and ease I bike commute more than anything these days and it has the same effect on energy and mood as skating it’s just a little easier. I’ve been looking at some of the new Trinity mounted DOOP skates though, that would make skate commuting a little easier, especially for my shorter commute days. How did you deal with getting to work sweaty in the summer, did you have to pack extra clothes? So many extra clothes. There’s not much else I can say about it, it gets hot, I work outdoors a lot and extra clothes are just standard in any day pack. Luckily it’s not a big deal because of the nature of where I work. What’s in the bag? Some of Eric’s skate commute essentials. With practicing so many sports, are you having trouble finding time to do all of them? Has it affected how much you skate? It really does get difficult to balance. As far as an effect on skating, everything is secondary to distance skating for me. So if it’s a cross training day and I haven’t done miles in a while and if I’m able to I would rather skate. I try to aim for at least 3 distance/speed skate specific days. The rest is always in flux, I mentioned a schedule earlier but I have to go off script as life and work allow. The important thing is to always try and do something but all praise go to the rest day! Listen to your body, re-loading can have great effects on body and mind. Skating so many miles, have you ever had times where the exhaustion caught up to you and burned you out at all where you had to take a break? If so how did you get over it? While skating I’ve only bonked super hard on a ride once. It was pretty terrible but I took a gel, drank some water, electrolytes, and then some more carbs and I was better, too bad I had to skate all the way back home. The main exhaustion has come from just my life. August of last year I skated the most, 336 miles, with so many things going on in my life at time. I was skating everywhere and I had just started a 2nd job. I had overdone it and run myself out. That’s when I got the bike and decided to make something a little easier on myself. I would have honestly never thought, much less on skates when all I knew of skating was grinds and anti-rocker. Never thought I could say that I was capable of moving this fast under my own power with the capability of doing even more. It has definitely been an awesome journey of learning about myself and just feeling empowered in general. No official events but that changes this year. Guess Athens to Atlanta is an ULTRA-marathon so there’s that one. Do you have any marathons you would love to skate in? Do you have any planned for 2018? North Shore Inline is one at the top of my list because it’s super well known. The course is supposed to super awesome but most importantly going to finally meet my friend Mark in person. We are both shooting for sub 90 minute times so it will be pretty awesome. Berlin would be amazing, it’d be a dream to skate in that race. Athens to Atlanta definitely going to be there this year. It’s looking like the Battle of Bear Creek will be my first official type marathon event. 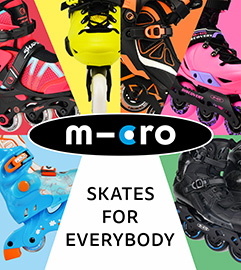 Do you have any plans to do any ultra long distance skates in the future? Not currently. I plan on doing at least 2 century rides this year sometime before summer really hits and then sometime after summer mellows out. Other than that I have my sights set on events. I’m definitely interested in any other events or excursions that anyone knows of or can suggest and I’d appreciate any information. Have you ever considered joining an indoor speed skating club? I have considered it and was asked to check it out by a local coach but I’m just an outdoor skater when it comes down to it. I would definitely love to learn more about skating and getting faster so if that’s what it takes totally open to trying it out. When you do a 60 mile skate, how often do you rest along the way? In all my rides by myself I try to never stop, I always feel worse after stopping and trying to get back going. I try to only stop to refill water and eat but most the time I just slow down, keep rolling and eat. I just like getting and staying in the zone so I try to keep it moving. Maybe I am going slower but at least I’m still moving. Two favorites, the Veloway in Austin because it is an ultra wide very nicely paved asphalt lap of about 3 miles that is only for bikes and blades. Such a great place to train and get work done. 2nd favorite is Leon Creek Greenway in San Antonio. It is a very nice trail that runs about 13 miles A to B, 26ish round trip. The trail has awesome segments of blacktop that just make you feel like skating fast. I have set plenty of personal bests at Leon Creek. How often do you urban skate? What is your favorite terrain to skate on big wheels when freeskating? Again to do so much distance skating I don’t get to freeskate near as much as I’d like but I plan on getting back in the flow of all trick type skating again, fsk and grinderblading. My favorite is just the urban environment, flying around, figuring out ways to flow and keep speed while getting tricky, its just the best. What is your current setup for distance? Urban? Aggressive? For distance I’m currently on Powerslide Kaze Trinity skates with 12.5” 3×125 frames UC T-Rex wheels and Bones Swiss Ceramics, I was on some shorter PS 125mm frames for testing but I prefer the long frames for distance. Urban setup hasn’t been used yet but it is PS NEXT Trinity with 4x80mm frame with Lomax 80mm Bones swiss 6 and aggressive setup is USD VII’s with OYSI frames, Undercover bullet profile wheels 72mm/88a UC LA outsides 59mm/88a Werbeski inside with Wicked Abec 9s. I feel most rollerbladers, including myself, never really learned how to actually skate. And what I mean is having proper form, proper push, etc.. Do you feel like this as well, if do you feel you have proper form now? How did you learn proper form? I wish I could say I have proper form now, it’s become way better, but I am always trying to improve and learn. Agreed that many of us aggressive skaters never took the time to learn, lucky for us we are at an advantage when learning because we have a strong base already. I constantly watch videos, Powerslide has great Powerskating tutorial videos on YouTube, Pascal Briand makes great tutorials as well, old Eddy Matzger double push videos and seminars are gold, all on YouTube. Chad Hedrick double push videos in slo-mo will show you the truth. You’ve had major improvements in your speed on long skates. What training has helped the most? What are the most important factors for achieving speed? Form? Muscles? Do you think there is still things that you need to learn to achieve more even speed? I do think that skating will always be the best way to improve on skating and I’ve definitely put in that time. But it wasn’t until I added more to my training with gym and cross training that I saw the most changes. Plyometric work is great for skating as is balance work, I wish I could cross check the things I do with people that are more knowledgeable but things have been working for me as I figure them out. There is so much more for me to learn it’s exciting and intimidating at the same time. I do think that the most successful speed skaters are a combination of technique and athletic power. I know there is so much more for me to learn, I am getting faster but I still barely scratching the surface of possibility. What is your current average pace? What is the best time you’ve achieved? I’d say I’m around 13-14mph depending on the distance. My best recorded time has been a half marathon of 48:28, I averaged 16.18mph with 3:42 pace per mile. I was especially happy with this one because this year I had aimed to get faster and this showed my work paying off. For most speed skaters that might not be that great but for me where I’m self taught in technique for this stuff and had focused solely on distance for so long, it really let me know I was going in the right direction. Lots of work left though. How many miles have you skated in 2018? I’m at 197.3 miles for this year. I’m a little behind but am ok with it since I’m getting back on track with full training. Enjoying the sunset after a long skate around town. Do you have a different approach to your in skating in 2018? Faster and further. I want to have as much quality time on the skates as I do quantity of miles. So I really want to train smarter, if that means taking more time to focus on speed and doing shorter distances then so be it. I want to take that speed and intensity and be able to apply that to my distance rides. I also want to get back to grinderblading, my heart, my roots in skating will always come from there, the same mentality that pushes me in this skating stemmed from that skating and I miss that feeling. More grinderblading and freeskating in 2018. Whats your distance goals and skating goals in general for this year? I just want to get faster overall then transfer that speed into those distance numbers that I like to hit. A personal goal is to actually travel and make it to more skating related events. I feel like I’m missing out on a big part of skating by not making it to many events and I also think I need to perform in an environment like that to really push myself. I’ve always skated and had ideas for cool skate stuff but never took the time to actually pursue any of them but I’m trying to progress and push myself in all areas of my life so I’m investing time into getting an inline skating soft goods line started. The idea stems from my facebook page “Made to Blade” that I made to bring people together to progress in skating, learn from each other, and connect. “Blacktop” is the name, the designs are all ideas born in my head while spending time skating out on the blacktop. Some will be crazy, some cool and race inspired, some shirts you might be able to tell just how close to bonking I was when the idea hit me. I just want it to be a cool fun line that inline skaters can wear to represent their love for skating while skating or chilling. Blacktop clothes will be Made to Blade. You were the first person I knew to skate distance and I remember thinking how crazy you were doing 20, 30 miles… Since then you’ve evolved into a blading monster, devouring miles and increasing your speed everyday. You’ve also been an inspiration to skaters around the world, how does it feel to make an impact on so people’s lives and helping them live a healthy lifestyle? Thanks, I do remember early on just not even knowing what I was doing but wanting to just skate and skate. I really think so many junk miles helped establish my endurance early on then I just kept building from there. As far as being an inspiration, I honestly had no clue that I had any type of effect like that, but if that’s the case that is really awesome to hear. I have had some really cool messages from people through social media stuff and I always get happy reading those or talking about skating with people. I’ve made lots of new friends and have realized I have a huge support net that makes me very thankful and happy. 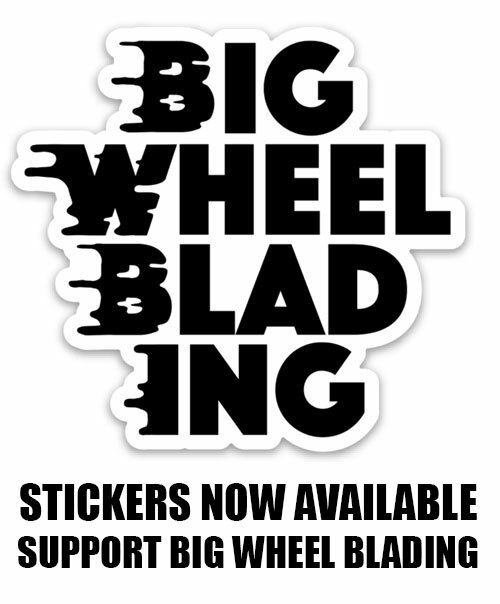 Did you think the big wheel blading trend would take off like it has? Did you ever imagine that several aggressive skaters are now skating marathons and doing distance? It only makes sense that it would. When more people put on big wheels and felt themselves rolling, flying down the street freely with a smile on their face. Because that’s the true power behind the big wheels trend, it’s just fun. Even though I’ve aggressive skated the longest I’ve probably had skates on my feet way more these past 4 years or so than ever before because of distance skating and big wheeling. I know this skating doesn’t hurt you the same way aggressive does and maybe a lot of us are looking for the fitness aspect or a way to keep skating while pushing our limits without having to always feel wrecked, either way it’s a cool change to see. Do you think this movement will help build a bridge between the different disciplines of skating? I think it already has we are just seeing the momentum building even more, it’s a really cool time to be an inline skater. a. The Big Wheel Challenge on the Endomondo App for Iphone and Android, is a distance skating challenge ONLY for aggressive skaters who also have found a passion for distance skating. Click here to join the 2018 Big Wheel Challenge hosted by bigwheelblading.com, you must download the Endomondo app on your phone to begin tracking your miles. We are also hosting the Inline Skating Distance 2018 challenge that is open to every skater, from every discipline and every country in the world. It can be joined here. Follow Eric Cruz on instagram if you want to keep up with his skating adventures and training posts.